I recently spoke at San Juans Summit, a gathering of progressive Christians who want to take back their faith, and their country, from the seizing jaws of the hypocritical evangelical right. What many people don’t know is that we will never be able to reach evangelicals who have thrown their support behind Donald Trump, because in him they have found their new religion. Our only hope for a good future, and for our children and grandchildren’s future, is to defeat these people and their ideology at the polls! Vote for the Common Good in November of 2018 and again in 2020! I recently spoke at San Juans Summit, a gathering of progressive Christians who want to take back their faith, and their country, from the seizing jaws of the hypocritical evangelical right. What many people don't know is that we will never be able to reach evangelicals who have thrown their support behind Donald Trump, because in him they have found their new religion. Our only hope for a good future, and for our children and grandchildren's future, is to defeat these people and their ideology at the polls! 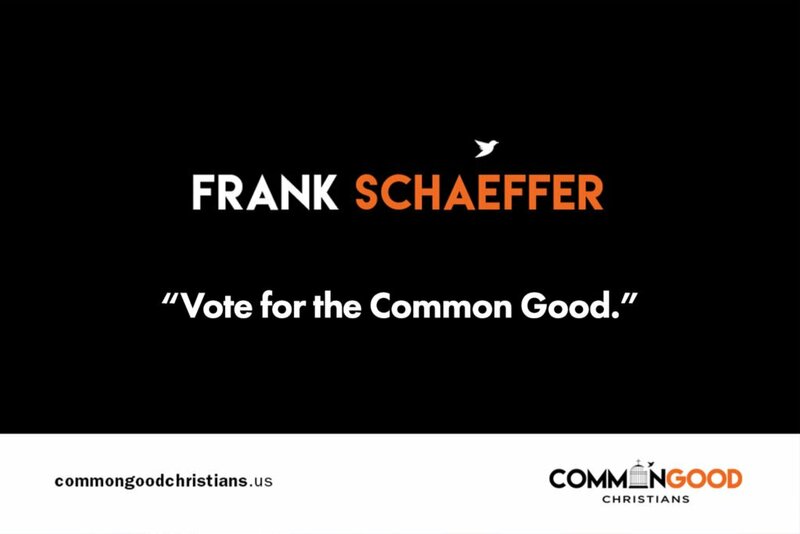 Vote for the Common Good in November of 2018 and again in 2020! Yes, folks of good will should vote for the common good. My South Carolina raised Black grandmother who died at age 87 in 1986 did not have the right to vote unimpeded until the passage of the Voting Rights Act of 1965. She voted in every election until the day she died. She would have voted even if two cats or two dogs were running. She understood the power of her vote. Yet her pampered great grandchildren can’t be bothered if the candidate isn’t perfect. “Hillary did this, Hillary did that” was all I heard during the last election and many of them didn’t vote. So what did we get without their votes? An administration that is placing judges on the federal court who will weaken the Voting Right Acts. An administration that separates children and infants from their asylum-seeking parents at our borders. An administration that attacks the rule of law, the free press and a citizens’ right to peacefully protest. It’s about time some folks learn to be pragmatic about politicians and the impact that really bad ones will have on our society. Vote and hold your nose if you have to, but vote. This is the most cogent explanation of why voting is absolutely mandatory! Most Americans are good descent people. 67 million votes, in a country of 307 million people (251 million of voting age) is only 27 percent of the population, who voted for the 2016 Republican nominee. And finally, Hamilton’s Federalist Paper (#68) let us down, because the Electors (electoral college) are there to correct blatant errors. Anyway… Solutions? Educate and motivate a percentage of the over 100 million eligible voters who do not or did not vote. Make them know how much power they have, to get things done by just spending 15 minutes to vote, Together, we can heal this country. Money alone won’t do it, tribalism definitely won’t do it, isolationism won’t do it, cruelty won’t do it. ONLY MAJORITY RULE, THROUGH MAJORITY VOTING, will heal our country. Juliet, I can see by your ” by just spending 15 minutes to vote, ” that you’re lucky to be white and privileged. Otherwise, it might require that you be willing to spend many HOURS in line, or even trying to get to a voting place, in order to exercise your “right to vote”! I spent an hour in the voting line, You are mudding the water. Why so negative? Frank, I hope you heed your wife’s warning about becoming a major A-hole over Trump’s presidency and the foolish Evangelicals who enable him. This too will past. Peace. You are an encouragement to those of us who are arriving at the same conclusions regarding evangelicals embracing Trumpism as their religion now. These revelations sadly started for me as a public school teacher in the late 80’s when I would read the disparaging and untruthful statements coming from Dobson and the Focus on the Family literature about public schools! I never stopped praying in school! I just didn’t force students to pray my way! It breaks my heart what has become of many evangelical groups and churches. So your message gives me hope and cheer! Thank you! Amen! I have been seeing this coming for decades and,although I support fiscal conservatism, I do not support removing programs that help the poor, the disabled, the unemployed, the sick, or anyone in need of help. I follow Jesus and his teaching. I believe Jesus loves “all” people and commands us to do the same! I thank you for your much-needed voice during these difficult times and I pray God will continue to reveal the hypocrisy of those who call themselves Christian but do little to follow the example of their Lord and Savior Jesus Christ. Also, love your books!